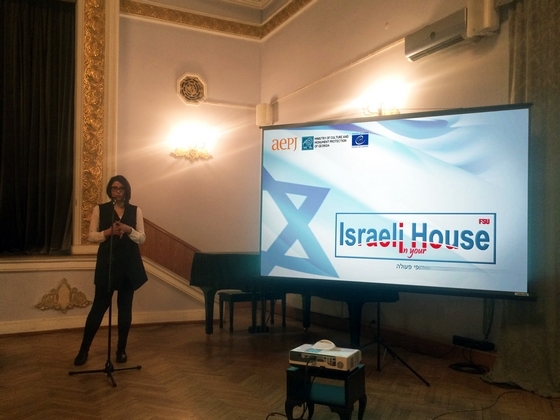 Mr. Stefano Dominioni, in charge of the European Cultural Routes of the Council of Europe, met Israeli House in Georgia. The Israeli House hold presentation about "Jewish Heritage Route" to the director of European Institute of Cultural Routes. Mr. Stefano Dominioni, in charge of the European Cultural Routes of the Council of Europe, met Israeli House in Georgia. Minister of Culture of Georgia requested Israeli House to present to him their activities. They presented him the same clip that they presented at our annual meeting last two weeks and also a promo video about Jewish Heritage in Georgia. 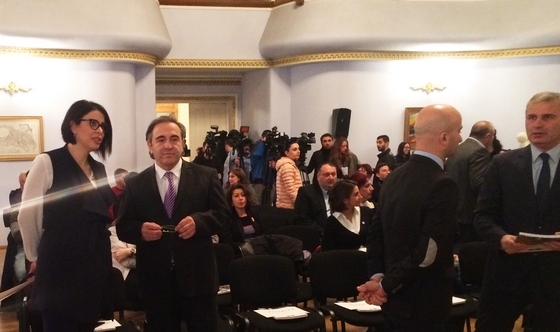 The event was very impressive, attended by the Minister of Culture, representatives form the governments of Georgia and Council of Europe representatives. There were also press in the event. 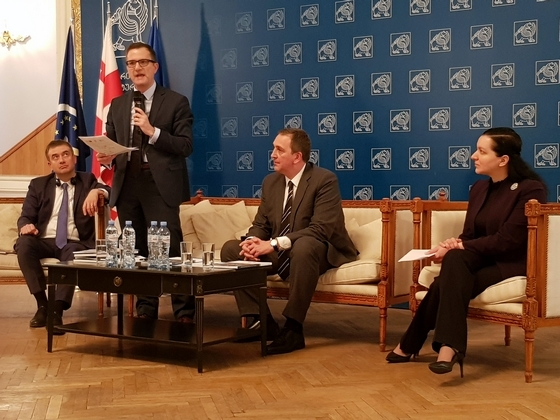 The Minister of Culture mentioned that there might be a big Forum about Culture Routes in 2020, and maybe it will be a good idea to have the AEPJ General assembly in that time. Another update: Next week Israeli House will be present the Jewish Heritage Route to 30 agents from leading Israeli tourist agencies. The DECRA project in progress! Annual meeting of the AEPJ took place at the new headquarters in Barcelona.